Land only “from price” is per person based on two people traveling together. All prices are in US Dollars. If your home currency is different than US Dollar you can still buy a CIE Tours vacation by paying in full with your credit card. The final cost will be predicated on the exchange rate applied by your credit card company. For your convenience when you book your vacation with CIE Tours we can also book your flights to match your tour, with our preferred airline carriers. Airline booking is available as part of our online booking process. Alternatively, if you call one of our reservations staff at 1-800-243-8687 they will be glad to assist with booking your flights. Please consult your Land Conditions for additional contract details. If you booked group air with CIE Tours, it is available as part of the online booking process. Alternatively your contact in the groups department will be glad to assist with booking flights. For any questions call (800) 223-6508. 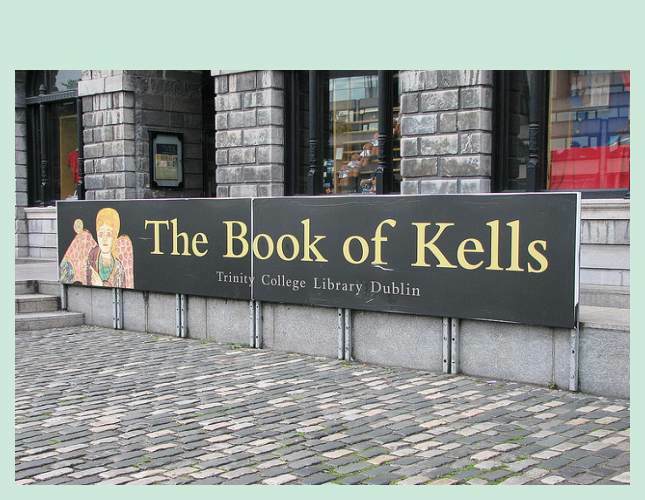 Discover the rich heritage of Dublin’s Trinity College, visting the library to see the Book of Kells, a splendid medieval manuscript. Take a walking tour of Kinsale and learn the history of this former fishing port, which is haven for foodies and art-lovers today. 9 breakfasts (B), 1 lunch (L) and 8 dinners (D) including Merry Ploughboy Pub dinner and show, Rozzers Restaurant in Killeen House and a farewell dinner at a Dublin restaurant.. The Dingle Peninsula stretches 30 miles into the Atlantic Ocean from Ireland’s south-west coast and is dominated by the Slieve Mish Mountains and Mount Brandon, Ireland’s second highest peak. The steep sea-cliffs and sandy beaches provide spectacular views. Visitors walk through the city-center campus of Trinity College to view this world-famous 9th century gospel manuscript housed in the magnificent Old Library. See the ’Turning Darkness into Light’ exhibition, the Book of Kells and other related manuscripts in the Treasury and the magnificent 18th century Long Room. A star fort located on the water’s edge, at the southern end of the village of Summer Cove, on Kinsale harbour, County Limerick, Ireland. James’ Fort is located on the other side of the harbour. Charles Fort is built on the site of an earlier stronghold known as Ringcurran Castle, which featured prominently during the Siege of Kinsale in 1601. The fort, which is named after Charles II, was designed by the Surveyor-general Sir William Robinson – architect of the Royal Hospital Kilmainham. One of Ireland’s top visitor attractions, the cliffs are 700 feet high and extend for 5 miles over the Atlantic Ocean on the western seaboard of County Clare. O’Brien’s Tower stands proudly on a headland and one can see the Aran Islands, Galway Bay and Connemara. The cliffs are home to major colonies of cliff nesting seabirds. This great monastery was founded in 548 by St Ciaran and was a great centre of learning in medieval times. Many manuscripts were written there. Today see three high crosses and the ruins of a cathedral, seven churches and two round towers set on a mound beside the River Shannon. This Abbey is home to an order of Benedictine Nuns. See the fairy tale castle and Abbey set in an area of great natural beauty in Connemara. Visit the restored rooms of the Abbey and learn about its history and tales of tragedy and romance. This gorgeous hotel is located on a sprawling estate dating back to 1750. The accommodation is a sumptuous retreat from bustling Dublin life. Choose from 151 rooms and suites offering lavish amenities, and be sure to try award-winning cuisine at the numerous on-site dining venues. A fitness center, beauty treatments and meeting rooms are all available as well. It is located on Stillorgan Road, 5 miles south of Dublin city center and 12 miles from Dublin Airport with good city bus services nearby. Hotel parking. Established in 2001 in Galway City Centre, The Galmont is one of Ireland's FINEST 4 star hotels. Just a three-minute walk from the central Eyre Square and overlooking Galway Bay, The Galmont (formerly the Radisson Blu Hotel & Spa, Galway) stands in the heart of the city. With a range of guest rooms to choose from, the hotel is home to the award-winning spirit one spa and the best events facilities in the west of Ireland. Whether you're in Galway for a weekend getaway, a family trip or on business, this hotel's central location, helpful team and excellent facilities will make your stay one to remember. A long-established, traditional hotel where the warmth of a country house blends with the style of a contemporary hotel. Enjoy traditional decor and blazing fires in the public spaces. The elegant dining room and Town Hall Bistro are renowned for excellent cuisine. Guest rooms offer every amenity for a comfortable stay. Located in the center of the charming market town of Ennis and within easy walking distance of shops, cafes and pubs. Shannon Airport is 15 miles away. Hotel parking. A 5-star luxury resort, this hotel is both beautiful and relaxing. There are many room options, some with private balconies and views of Killarney’s lakes. Hotel amenities include spa facilities, an indoor heated pool, an outdoor tennis court, complimentary wifi and parking, gym facilities, a hair salon, and a media room. Enjoy fine or casual dining at one of the many restaurants the hotel has to offer. 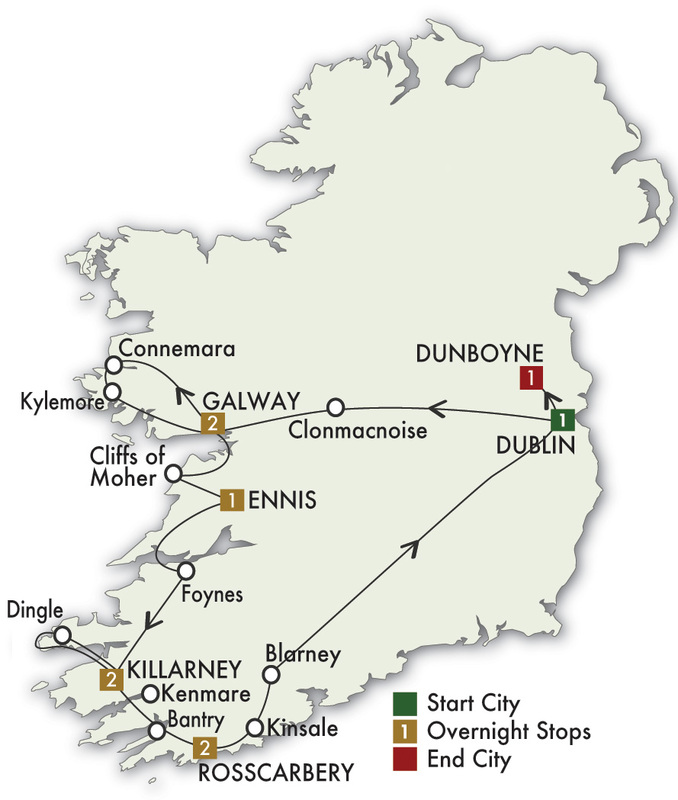 In addition, this hotel is situated on Ring of Kerry and Wild Atlantic Way, a beautiful site. Local attractions include, Killarney National Park, Torc Falls, Ross Castle, and Muckross House & Gardens, among others. This modern family-owned hotel is set right on the West Cork coastline on the Wild Atlantic Way. 66 comfortable bedrooms, many with seaviews over Rosscarbery Bay, offer great facilities. The Kingfisher Bar & Bistro focuses on dishes featuring seasonal and local produce while the extensive Leisure Centre features a pool, steam room, sauna and gym. This 18th century mansion has been lovingly restored and carefully expanded to create a spacious, modern property for a pleasant stay. Large guest rooms are designed for a tranquil night’s rest. Guests can enjoy full Irish breakfasts and fine dining in the elegant restaurant or relax in one of the cozy bars. The spa and leisure center offers excellent facilities. Located beside Dunboyne village, just 15 miles from Dublin Airport and 14 miles from Dublin city center. Hotel parking. 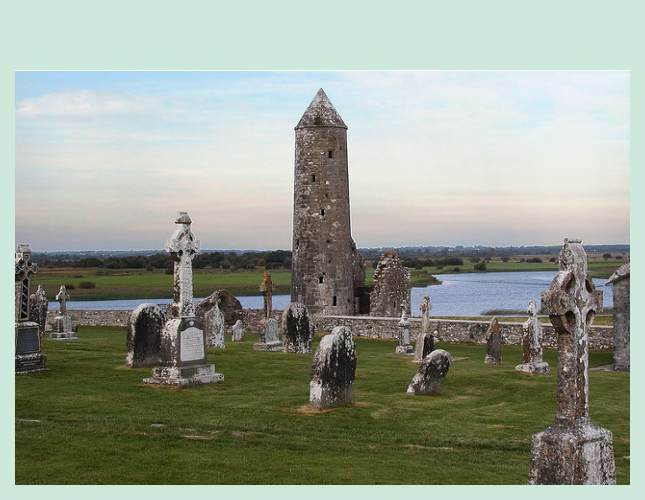 Journey across the rolling pastures to visit Clonmacnoise, a monastic settlement founded in 544 AD and set on the banks of the River Shannon. Take a walking tour of Galway with a local guide. See the Claddagh, once a fishing village, where the famous ring originated. Embark for a cruise on Lough Corrib to enjoy the scenery and sip an Irish coffee while enjoying an Irish dancing demonstration. Drive through scenic Connemara. 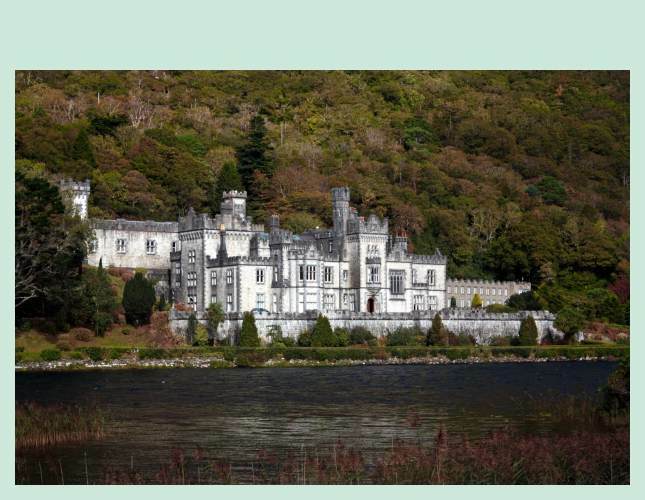 At Kylemore Abbey, visit elegant rooms and the charming lakeside church. Enjoy lunch and more views of Connemara before returning to Galway where the evening is free to explore and dine on your own. Visit a farm to watch trained dogs herd sheep and enjoy tea and homemade scones. Travel through the Burren to view the Cliffs of Moher. Enjoy a walking tour of Ennis, dating back to the 11th century, with narrow streets and quaint shops. 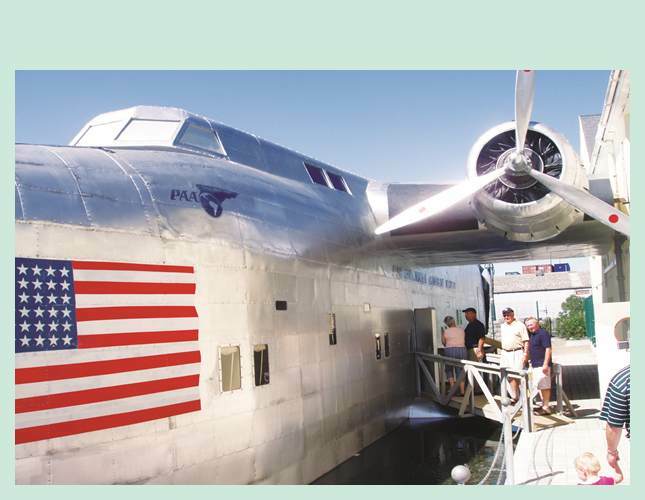 Cross the River Shannon Estuary on a short ferry and drive along the shore to Foynes to visit the Foynes Flying Boat & Maritime Museum. Stop in Listowel to explore and lunch on your own before heading to picturesque Killarney. Dine at Rozzers Restaurant in Killeen House. Explore the scenic Dingle Peninsula for views of heathery mountains, sandy beaches, and rocky headlands. Visit Gallarus Oratory, a stone chapel that was also a shelter for pilgrims. Stop in Dingle to explore and have lunch on your own. Return to your hotel in Killarney for dinner. Take a traditional horse-drawn jaunting car ride through Killarney National Park and along the shores of Lough Leane. Stop at Ross Castle and Kenmare Estate to admire the unspoiled scenery. Drive to Kenmare to have lunch and explore on your own. Continue along the County Cork coast and through Bantry and Skibbereen before arriving in Rosscarbery. 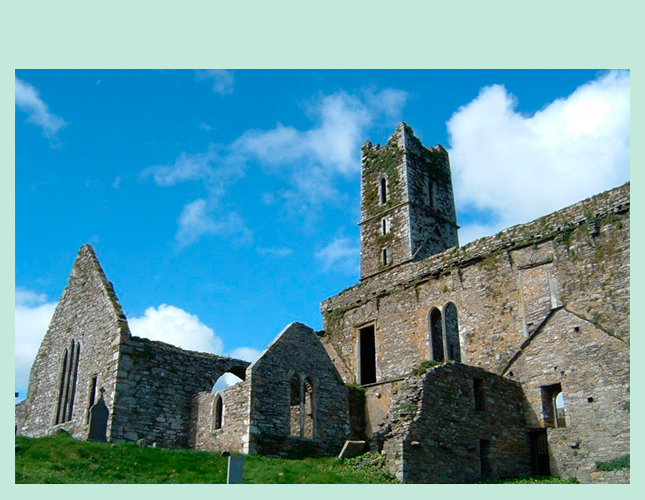 Travel along the West Cork coast to view Timoleague Franciscan Friary, founded in 1240, with picturesque ruins of the church and living quarters. Head to Kinsale, renowned since medieval times for seafaring trade. 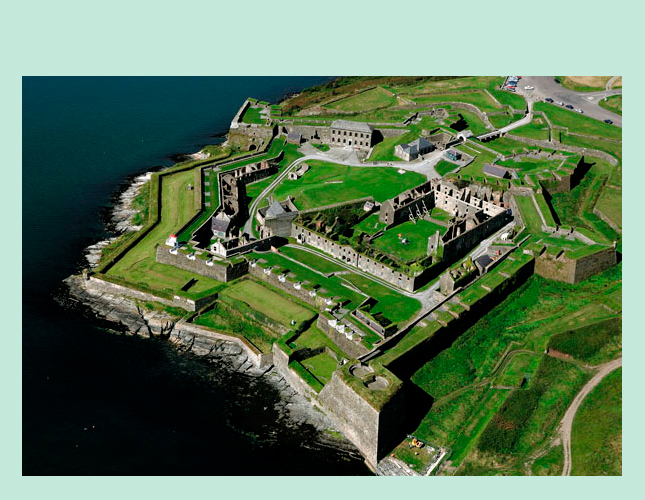 Join a local guide at the star-shaped Charles Fort before taking a gentle stroll through town. Visit Blarney Castle to kiss the famous “Stone of Eloquence” or enjoy a stroll through the grounds. Shop for quality Irish-made products at the Blarney Woollen Mills. Arrive at your luxurious castle hotel near Dublin and enjoy a farewell dinner at a Dublin restaurant. will contact you with a custom quote. Yes, I would like to be contacted by CIE Tours from time to time with news and special offers. - Select -AlabamaAlaskaAmerican SamoaArizonaArkansasCaliforniaColoradoConnecticutDelawareDistrict of ColumbiaFloridaGeorgiaGuamHawaiiIdahoIllinoisIndianaIowaKansasKentuckyLouisianaMaineMarylandMassachusettsMichiganMinnesotaMississippiMissouriMontanaNebraskaNevadaNew HampshireNew JerseyNew MexicoNew YorkNorth CarolinaNorth DakotaOhioOklahomaOregonPennsylvaniaPuerto RicoRhode IslandSouth CarolinaSouth DakotaTennesseeTexasUtahVermontVirgin IslandsVirginiaWashingtonWest VirginiaWisconsinWyoming * Require Air? Yes, I am a travel agent. If you choose a land only tour with us, book your flights from North America one day earlier than the tour start date. If you book our air-inclusive tour, our system will automatically choose a date prior to land start day and based on lowest available prices with one of our preferred airline carriers. For group bookings with a confirmed air block, our system will offer those specific flights.